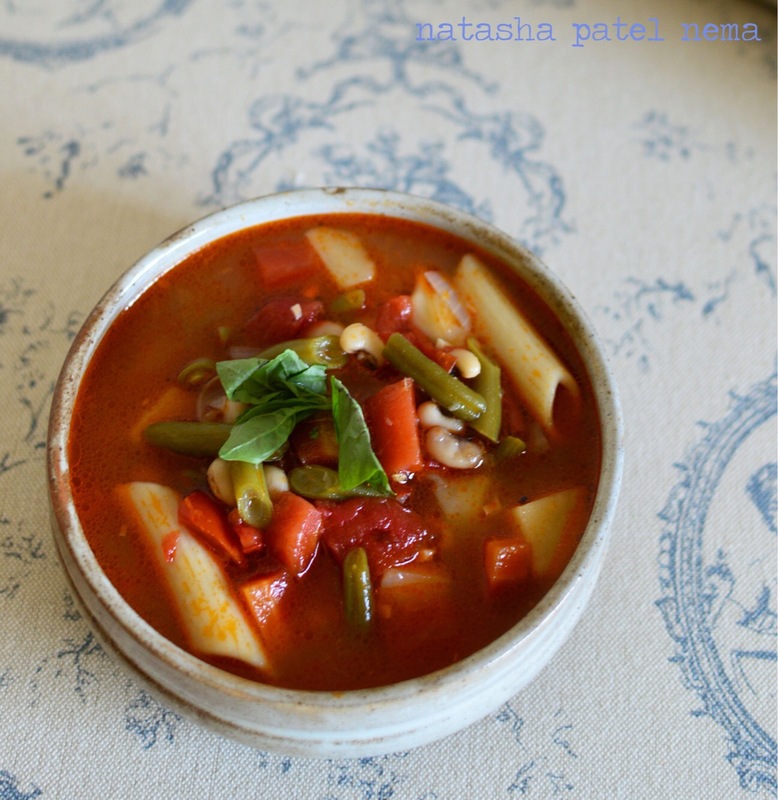 MINESTRONE SOUP FOR LUNCH…OM SHANTI OM.. This is for irritating her when she was about 8 years old and had fever. I wanted to cheer her up. I put on the song ‘Om shanti Om’ and danced in circles “la a la… la..a..la..la la” round and round just the way Monty does in the movie. I thought I was entertaining her with the dance steps, since she did want to watch the television. It was so histerical that I was literally rolling on the carpet in my parents bedroom. When ever we remember this incident we laught so hard. “Om shanti Om” has become mine and my sister’s song to dance whenever we are partying together. when this song is played we run to each other and we have to dance together on it. As always I dance circling her round and round to replay the old scene. This recipe is for you, my little sister of whome due to the age gap I thought of more of as my child then a sibling…who is now my best friend, to whome I can talk anything and who is the only person who gets me entirely, who always assures me when I am low, to the only person in the world I talk to about my crazy impossible personal goals and aspirations. She wanted the recipe of this soup I had cooked for lunch on Saturday. 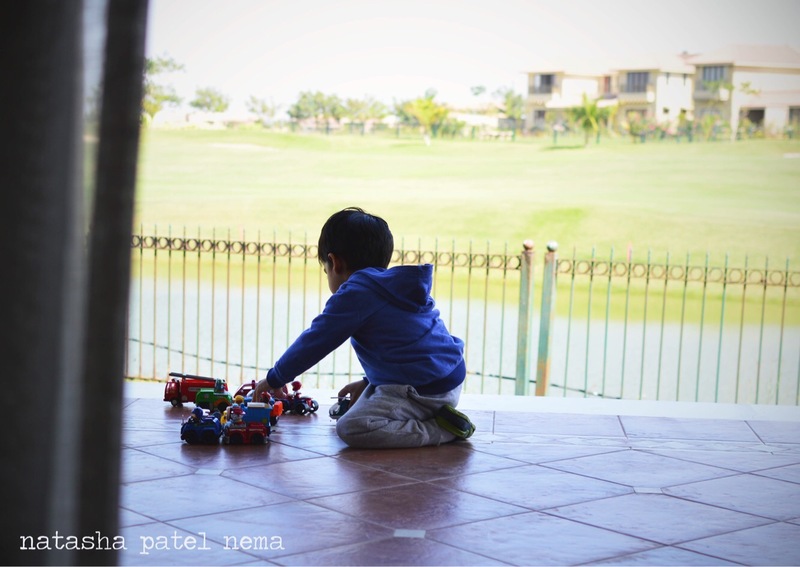 We had gone to our new home to have lunch and enjoy the weather. It was like a pot luck. 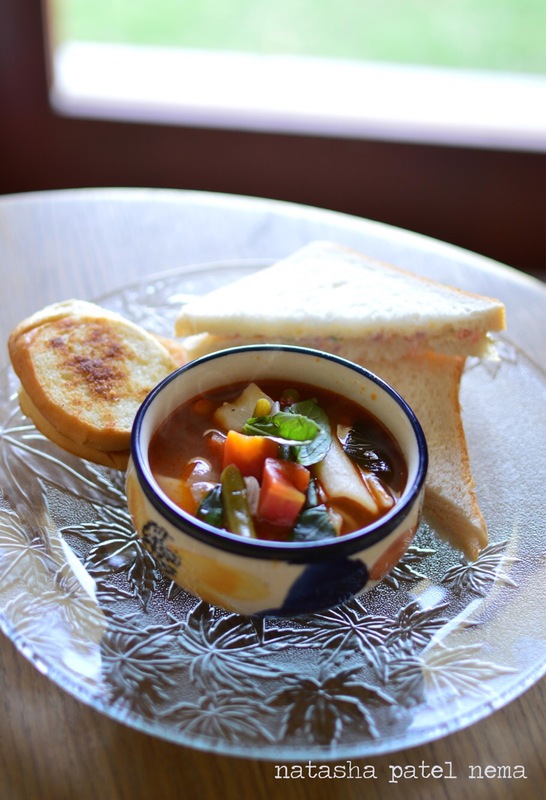 I had taken this Minestrone soup, mom got bread and made sandwiches and my sister brought the pan for the garlic bread..
Heat the olive oil in a pot. Add the garlic and onions. Cook till the the onions are translucent. Add rest of the vegetables, pastas, basil, beans, vegetable stock, about5 cups of water. Add the chilli flakes and salt. Cook the soup till the pasta is cooked. Taste for seasoning and serve hot with bread. This is a meal in itself, I don’t cook anything with it. 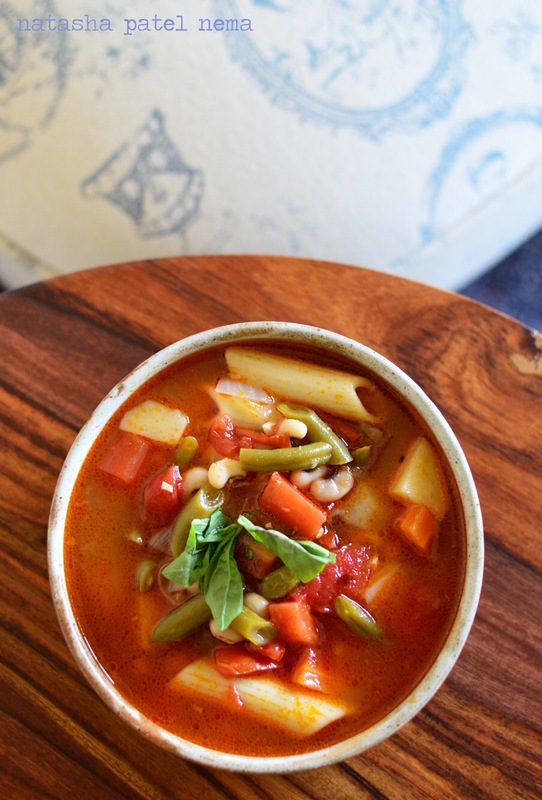 I LOVE, love minestrone soup and would never eat anything but homemade! Thanks for the recipe. Got to compare it to what I have!